Sooo, I've been rather M.I.A. on SoupSaladSandwich (and Vintage Soup for that matter) for quite some time now. I have a good reason though. Not only are Pierce and I moving to Madison, WI in a month, but I am also 12 weeks pregnant as of this week!! We are, of course, ever so excited, but the nausea and fatigue have kept me from doing much of anything besides crawling in to bed as soon as I get home from work. I'm planning getting back into the swing of regular blog posting and shop updating in January once we've settled in. 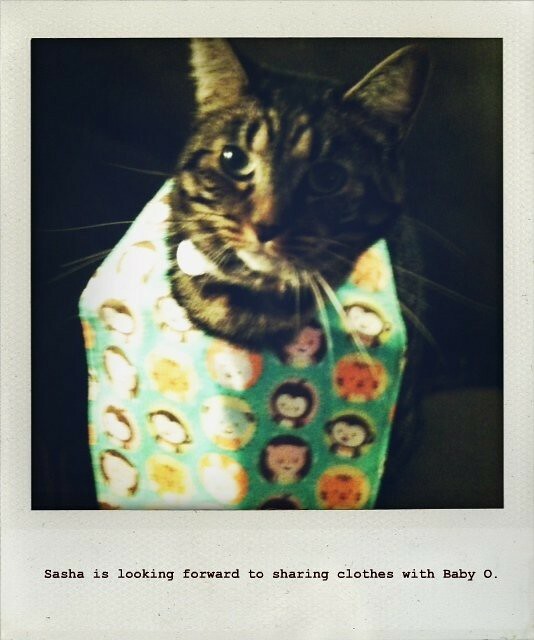 This charming bib was a "congrats" present from my dear friend Holly. As you can see, the humans aren't the only Olivers who are excited about the baby! Hooray!!! 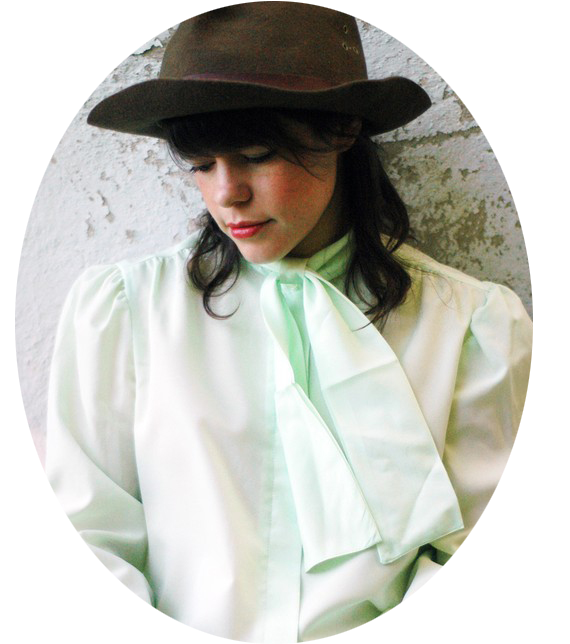 Many congratulations again on Baby O--I love that s/he now has her own label on the blog :) As s/he deserves, of course. Also that picture--cutest. Thing. Ever. Yea!! Now your mom can tell whomever she wants! :) Can't wait to see you soon!! I must say, I'm enjoying the gradual roll-out of the baby news. It's kinda fun to see people's slightly surprised faces on a regular basis. I also like how that sentence just rhymed. Catherine, it's been forever since we've seen each other in our hometown! Looking forward to it very much!